San Francisco (Obama.net)- For months now, the debate has raged on in Congress about whether or not to repeal the long lasting “Don’t Ask, Don’t Tell” policy that bans open homosexuals from serving in the United States military. 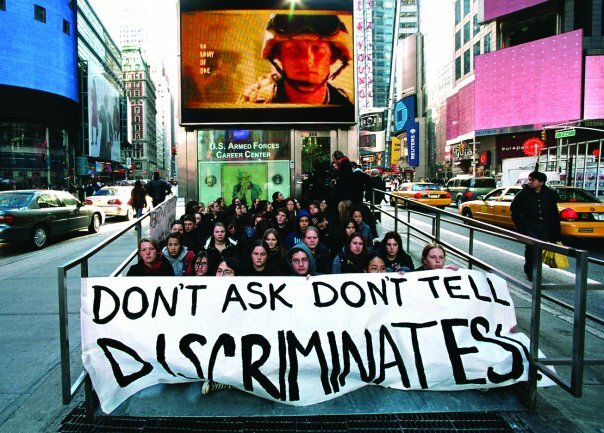 As with most other issues, the nation is fairly split on the matter with many Americans believing that the inclusion of openly gay and lesbian troops in the various division of the military would cause problems when it comes to how well with the open homosexuals integrate with the heterosexual troops due to the living conditions having all soldiers being in close physical proximity of each other at all times. Regardless, the House of Representatives made a final decision on Wednesday. With a vote of 250 to 175, the old military rule has now been voted to be repealed. The Senate is now being waited on to vote on the matter. Only four Senate Republicans have openly said that they are in favor of passing the policy change. However, even those Senators say that their voting in favor of it is dependent on other actions that they want to see the Senate take first. With the vote in the House, it is clear that bipartisan support is in favor of repealing the policy. As a result, “It is now the Senate’s turn to take the final step toward overturning this discriminatory policy. We are out of excuses,” said Joe Lieberman of Connecticut and Maine’s Susan Collins in a joint statement on Wednesday. The House has already voted to repeal the policy in the past as part of a bigger bill that included other new policies, but that bill was not to the liking of the Senate and as a result did not even get voted on. Politicians from both parties are stepping forward in favor of the repeal. The policy seems destined to be repealed as the country is constantly raising the acceptance of homosexuals in society. As a result, it is simply just that the military become open to all Americans willing to serve and end the discriminatory tradition.